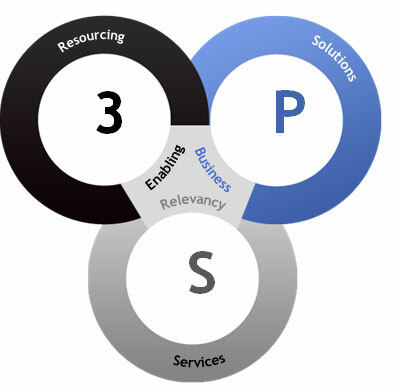 Our 3PS was designed to optimize the business-technology relationship, enabling our clients to become more responsive to market opportunities. Create and drive your business and technology strategies with consultants who understand the depth and breadth of today’s changing business landscape. Our business-oriented solutions and services fuel business relevancy. Our consultants help companies reinvent their business and corporate operating model. We do this by leveraging deep industry knowledge across multiple verticals industries. By partnering, listening, understanding and collaborating with our clients, we are able to solve their unique business and technology challenges. After carefully engaging with our clients, our team delivers industry-leading services and solutions. Resourcing: Leveraging our deep accounting and technology expertise, Relevante consultants bring proven solutions and business best-practices to each and every client engagement. Solutions: The latest technology development may or may not be the most relevant solution to your organization’s needs. Relevante employs a technology-agnostic, best-of-breed approach for evaluation and selection methodology – one focused only on what we know is verified to deliver results to your organization. Services: We support our clients’ goals through planning, implementation, and management of technology across the full technology lifecycle. Our specialized support teams bring business-driven services and solutions to every partnership, reducing risk and improving total cost of ownership (TCO). For each client, the 3PS recommends a set of components. These components serve as a framework for the cohesive implementation of the three-pronged strategy. In some cases, the components for both settings are quite similar; in other cases they are significantly different. This 3PS intentionally presents the same set of components to all engagements to ensure consistency in approach. However, the 3PS distinguishes between the settings because they often involve different decision-makers and approaches. So our 3PS could be the use of three different means aimed at achieving the same goal.